Vic Edelbrock's garage in Los Angeles, California. 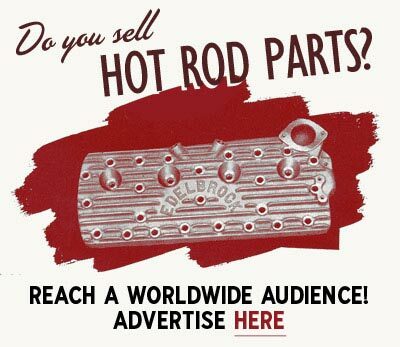 An Edelbrock ad from Hop Up May 1953. The cover of the 1957 Edelbrock Catalog. Edelbrock are manufacturing speed parts. 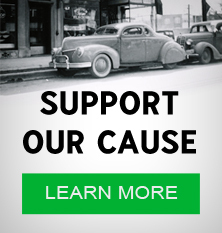 Vic Edelbrock founded the company in 1938. Vic designed his first Manifold when he bought his first hot rod roadster. Also known as the slingshot. The Manifold allowed him to install two Stromberg 97's instead of one. In 1962 Vic Sr. passed away, and his son, Vic Edelbrock Jr., took over the company. 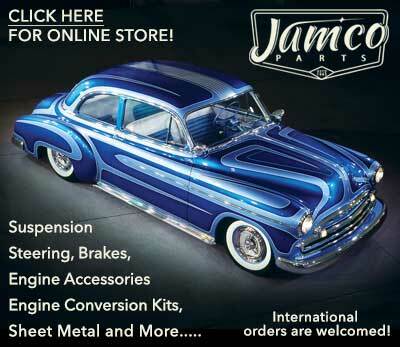 Subscribe to our newsletter and receive updates on Edelbrock Equipment and other subjects featured on Kustomrama. 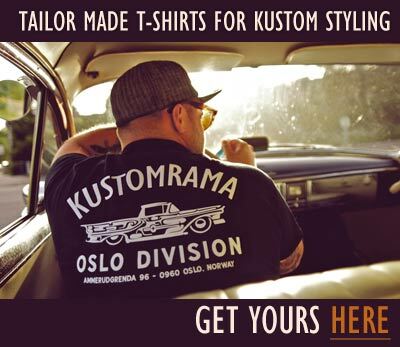 If you have additional information, photos, feedback or corrections about Edelbrock Equipment, please get in touch with Kustomrama at: mail@kustomrama.com. This page was last edited on 20 December 2017, at 15:06.